Sunglasses by the brand PRADA Sport for Men’s sunglasses, with reference S0007087, with a(n) Formal, Modern and Sporty style.Prada Sport 03Qs Ur73A0 57 17 they have a(n) Full Rim frame made of Acetate / plastic with a(n) Square and Sporty shape in Blue colour. Their size is 57mm and their bridge width is 17mm, with a total frame width of 74mm. They have Organic, Blue, Gradient lenses. These glasses are suitable for prescription lenses. These are top of the range glasses from the brand PRADA Sport, made of high-quality materials, modern glasses that will give you a look that matches your image. Buy Prada Sport 03Qs Ur73A0 57 17 sunglasses in an easy and safe way at the best price in our online store. Sunglasses by the brand PRADA SPORT for Sunglasses for men, with reference S0010793, with a(n) Formal, Modern, Original and Sporty style.Prada Sport 57US DG05Z1 59 15 they have a(n) Semi Rimless frame made of Acetate / plastic with a(n) Pilot and Sporty shape in Black colour. Their size is 59mm and their bridge width is 15mm, with a total frame width of 74mm. 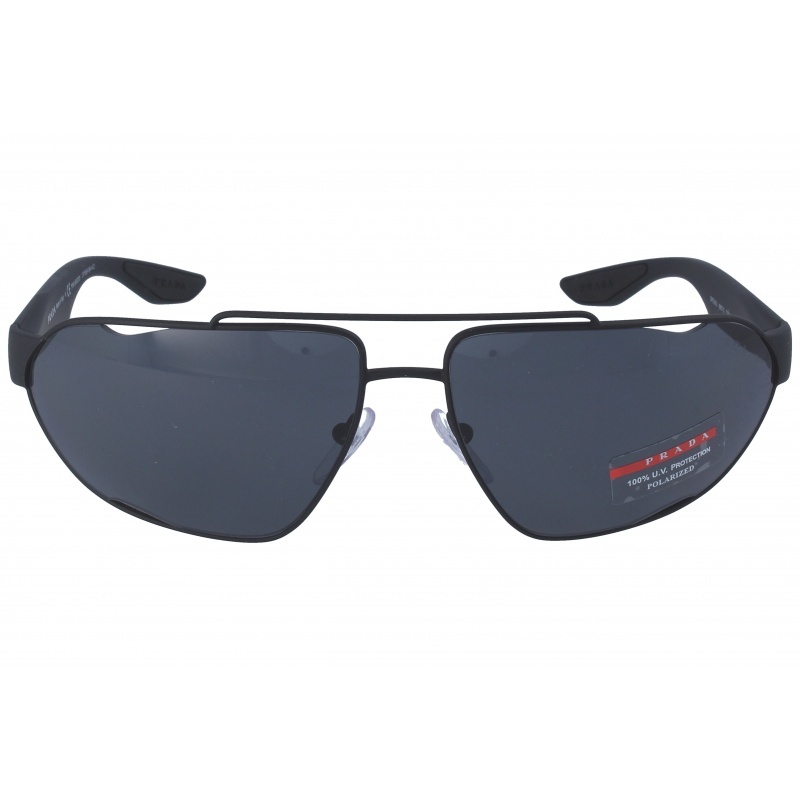 They have Polycarbonate, Gray, PolarizedUniform lenses. These glasses aren't suitable for prescription lenses. These are top of the range glasses from the brand PRADA SPORT, made of high-quality materials, modern glasses that will give you a look that matches your image. 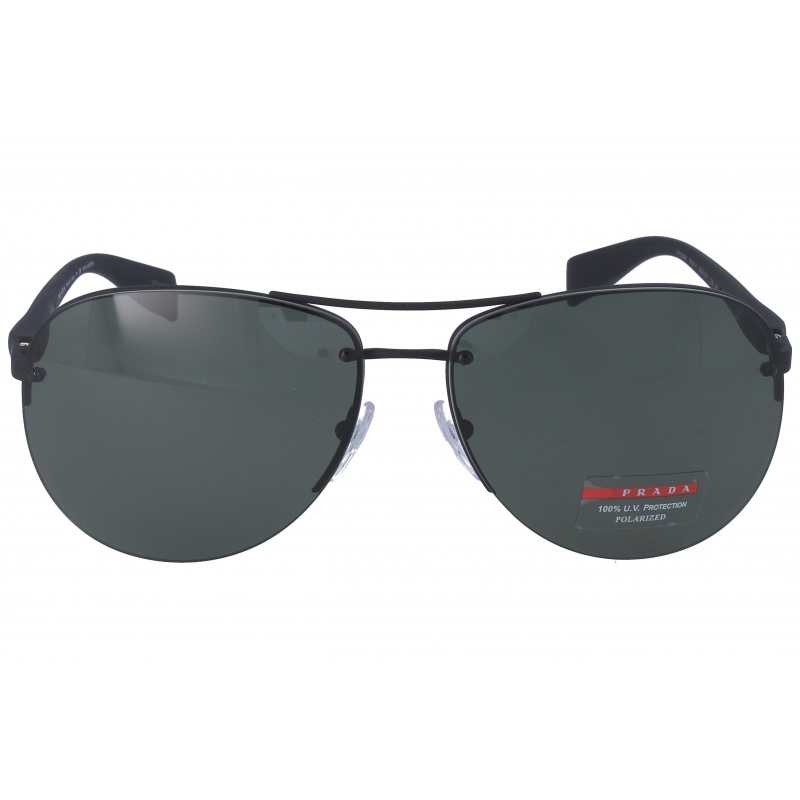 Buy Prada Sport 57US DG05Z1 59 15 sunglasses in an easy and safe way at the best price in our online store. string(155) "Prada Sport 57US DG05Z1 59 15 SunglassesSunglasses by the brand PRADA SPORT for Sunglasses for men,  with reference S0010793, with a(n) Formal, Modern, ..."
string(176) "prada sunglasses man,prada eyeglasses,prada sunglasses 2015,prada baroque sunglasses,prada sunglasses 2014,prada sunglasses 2013,prada sunglasses prices,prada sport sunglasses." string(29) "Prada Sport 57US DG05Z1 59 15"
string(166) "Prada is a synonym of exclusiveness and style. An icon within the fashion sphere which radiates tendency in any of its creations. Also available for sports eyewear. Sunglasses by the brand PRADA SPORT for Sunglasses for men, with reference S0010792, with a(n) Formal, Modern, Original and Sporty style.Prada Sport 57US 4495W1 59 15 they have a(n) Semi Rimless frame made of Acetate / plastic with a(n) Pilot and Sporty shape in Grey colour. Their size is 59mm and their bridge width is 15mm, with a total frame width of 74mm. 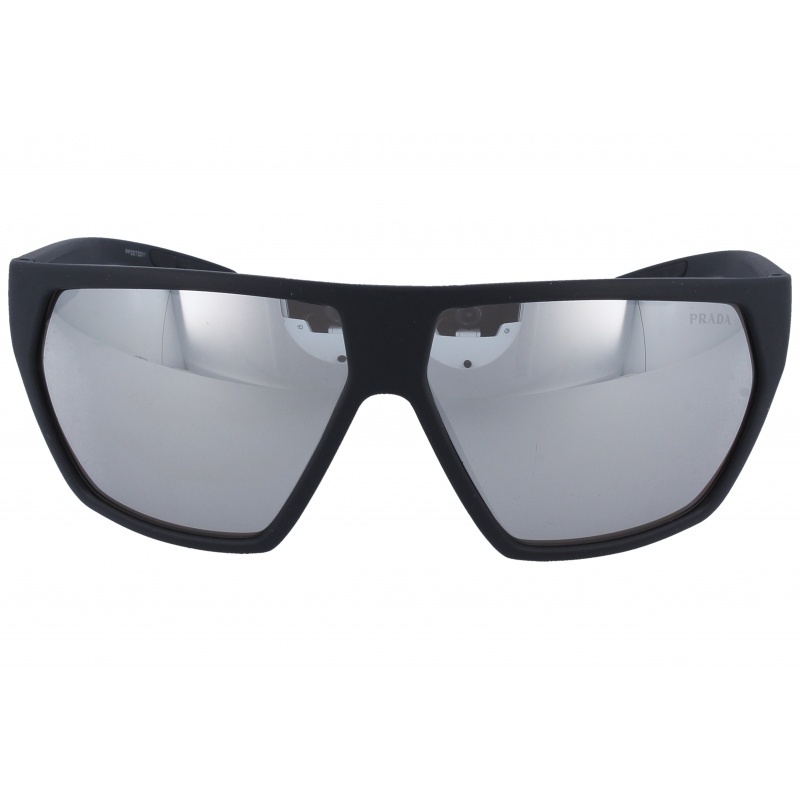 They have Polycarbonate, Blue, PolarizedGradient lenses. These glasses aren't suitable for prescription lenses. These are top of the range glasses from the brand PRADA SPORT, made of high-quality materials, modern glasses that will give you a look that matches your image. Buy Prada Sport 57US 4495W1 59 15 sunglasses in an easy and safe way at the best price in our online store. string(155) "Prada Sport 57US 4495W1 59 15 SunglassesSunglasses by the brand PRADA SPORT for Sunglasses for men,  with reference S0010792, with a(n) Formal, Modern, ..."
string(29) "Prada Sport 57US 4495W1 59 15"
Sunglasses by the brand PRADA SPORT for Sunglasses for men, with reference S0010791, with a(n) Formal and Sporty style.Prada Sport 56US DG05Z1 66 15 they have a(n) Full Rim frame made of Metal with a(n) Squared and Sporty shape in Black colour. Their size is 66mm and their bridge width is 15mm, with a total frame width of 81mm. They have Organic, Blue, PolarizedUniform lenses. These glasses are suitable for prescription lenses. These are top of the range glasses from the brand PRADA SPORT, made of high-quality materials, modern glasses that will give you a look that matches your image. 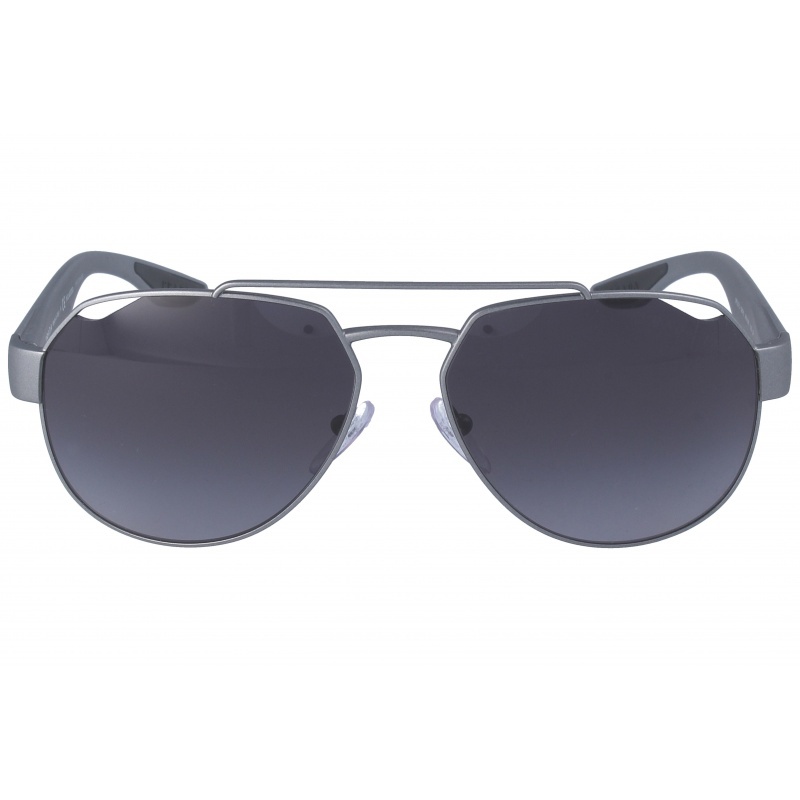 Buy Prada Sport 56US DG05Z1 66 15 sunglasses in an easy and safe way at the best price in our online store. string(155) "Prada Sport 56US DG05Z1 66 15 SunglassesSunglasses by the brand PRADA SPORT for Sunglasses for men,  with reference S0010791, with a(n) Formal and Sport..."
string(130) "prada sport,elegant sunglasses,acetate,modern,resistant,tough,sunglasses 2014,sunglasses 2015,designer glasses,guarranteed glasses"
string(29) "Prada Sport 56US DG05Z1 66 15"
Sunglasses by the brand PRADA SPORT for Sunglasses for men, with reference S0010790, with a(n) Formal, Modern and Sporty style.Prada Sport 56Ms DG05X1 65 14 they have a(n) Semi Rimless frame made of Metal with a(n) Pilot and Sporty shape in Black colour. Their size is 65mm and their bridge width is 14mm, with a total frame width of 79mm. They have Polycarbonate, Green, PolarizedUniform lenses. These glasses aren't suitable for prescription lenses. These are top of the range glasses from the brand PRADA SPORT, made of high-quality materials, modern glasses that will give you a look that matches your image. 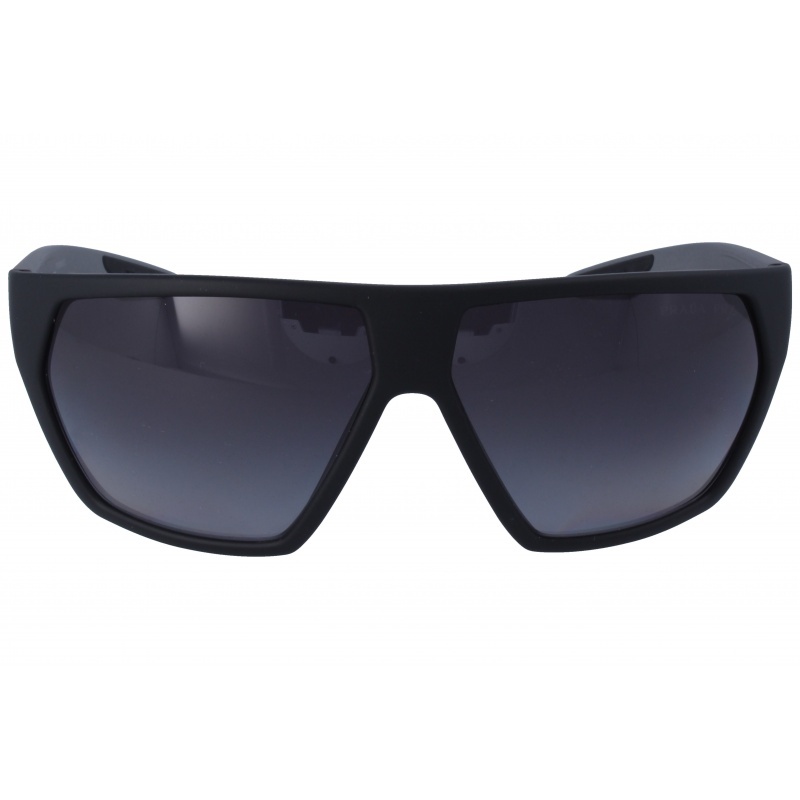 Buy Prada Sport 56Ms DG05X1 65 14 sunglasses in an easy and safe way at the best price in our online store. string(155) "Prada Sport 56Ms DG05X1 65 14 SunglassesSunglasses by the brand PRADA SPORT for Sunglasses for men,  with reference S0010790, with a(n) Formal, Modern a..."
string(29) "Prada Sport 56Ms DG05X1 65 14"
Sunglasses by the brand PRADA SPORT for Sunglasses for men, with reference S0010789, with a(n) Modern and Sporty style.Prada Sport Ps08US DG02B0 67 12 they have a(n) Full Rim frame made of Metal with a(n) Sporty shape in Black colour. Their size is 67mm and their bridge width is 12mm, with a total frame width of 79mm. They have Organic, Silver, MirrorUniform lenses. These glasses are suitable for prescription lenses. These are top of the range glasses from the brand PRADA SPORT, made of high-quality materials, modern glasses that will give you a look that matches your image. Buy Prada Sport Ps08US DG02B0 67 12 sunglasses in an easy and safe way at the best price in our online store. Sunglasses by the brand PRADA SPORT for Sunglasses for men, with reference S0010789, with a(n) Modern and Sp..."
string(31) "Prada Sport Ps08US DG02B0 67 12"
Sunglasses by the brand PRADA SPORT for Sunglasses for men, with reference S0010788, with a(n) Modern and Sporty style.Prada Sport Ps08US 4535W1 67 12 they have a(n) Full Rim frame made of Metal with a(n) Sporty shape in Black colour. Their size is 67mm and their bridge width is 12mm, with a total frame width of 79mm. They have Organic, Gray, PolarizedGradient lenses. These glasses are suitable for prescription lenses. These are top of the range glasses from the brand PRADA SPORT, made of high-quality materials, modern glasses that will give you a look that matches your image. Buy Prada Sport Ps08US 4535W1 67 12 sunglasses in an easy and safe way at the best price in our online store. Sunglasses by the brand PRADA SPORT for Sunglasses for men, with reference S0010788, with a(n) Modern and Sp..."
string(31) "Prada Sport Ps08US 4535W1 67 12"
Eyewear by the brand PRADA SPORT, for Eyeglasses for men, with reference M0014241, with a(n) Formal, Modern and Sporty style.These Prada Sport 05LV 2881O1 55 17 have a(n) Full Rim frame made of Acetate / plastic with a(n) Squared shape in Blue colour. Their size is 55mm and their bridge width is 17mm, with a total frame width of 72mm. These glasses are suitable for prescription lenses. These are top of the range glasses from the brand PRADA SPORT, made of high-quality materials, modern eyewear that will give you a look that matches your image. Buy Prada Sport 05LV 2881O1 55 17 eyewear in an easy and safe way at the best price in our online store. 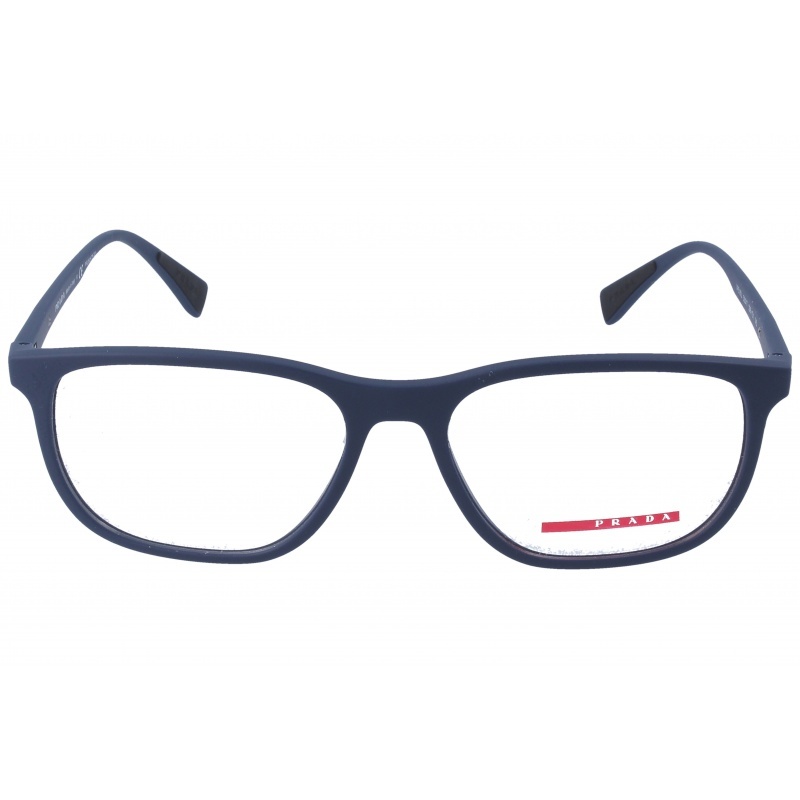 string(155) "Prada Sport 05LV 2881O1 55 17 GlassesEyewear by the brand PRADA SPORT, for Eyeglasses for men, with reference M0014241, with a(n) Formal, Modern and Spo..."
string(29) "Prada Sport 05LV 2881O1 55 17"
Eyewear by the brand PRADA SPORT, for Eyeglasses for men, with reference M0014240, with a(n) Formal, Modern and Sporty style.These Prada Sport 05LV DG1O1 53 17 have a(n) Full Rim frame made of Acetate / plastic with a(n) Squared shape in Black colour. Their size is 53mm and their bridge width is 17mm, with a total frame width of 70mm. These glasses are suitable for prescription lenses. These are top of the range glasses from the brand PRADA SPORT, made of high-quality materials, modern eyewear that will give you a look that matches your image. 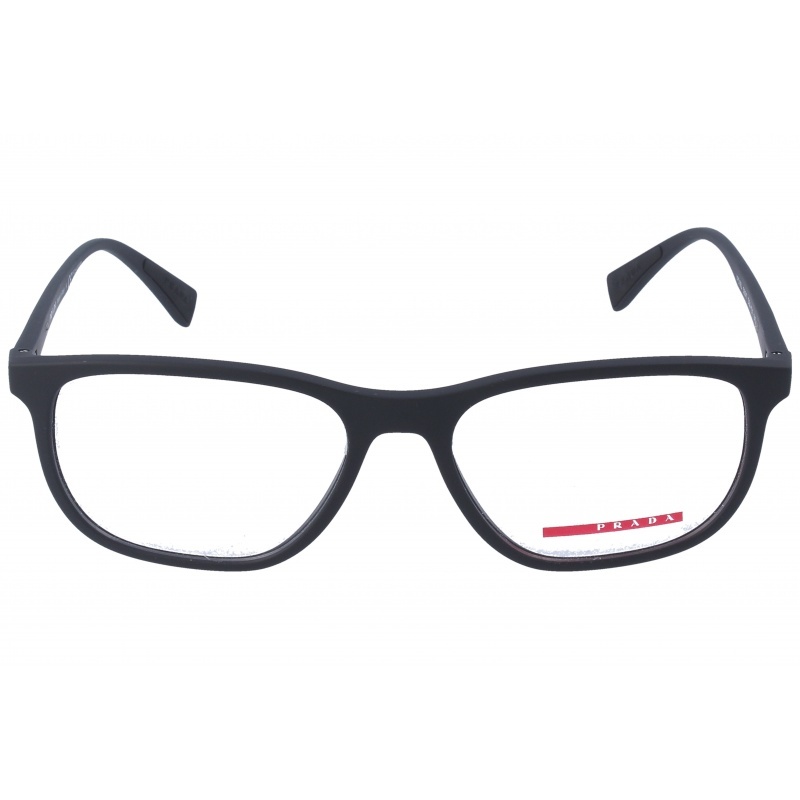 Buy Prada Sport 05LV DG1O1 53 17 eyewear in an easy and safe way at the best price in our online store. string(155) "Prada Sport 05LV DG1O1 53 17 GlassesEyewear by the brand PRADA SPORT, for Eyeglasses for men, with reference M0014240, with a(n) Formal, Modern and Spor..."
string(28) "Prada Sport 05LV DG1O1 53 17"